Megaupload founder Kim Dotcom is getting back into the music business. Just days after resigning as director of his latest project Mega, the German Internet entrepreneur has dropped details for his new music service, Baboom. 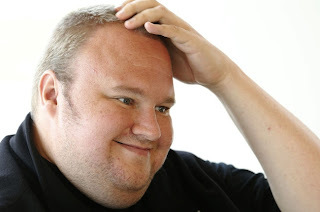 While the official release is said to be a few months away, Dotcom revealed to Torrent Freak that his new venture would offer an ad-funded music model, alongside a paid version. And there's cash in the coffers. Dotcom says he's secured “several millions” in funding for the project, which is an evolution of the long-rumored Megabox. Earlier reports had suggested Megabox would compensate artists through advertising revenue and give artists 90% of all earnings, and that Dotcom planned to work directly with artists rather than work with record labels.